Adds texture to a basic comforter. 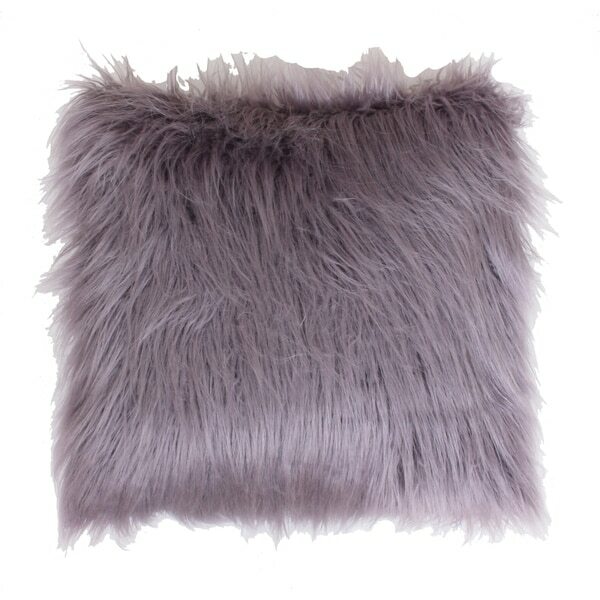 Enhance your home decor with this extra large faux fur throw pillow. Dyed to match its micromink back, this throw is available in a variety of colors. Just fur on one side, but these pillows are everything. They make a statement without being to loud. The right touch I was looking for in my bedroom on my bed. The color is grey and a true grey. Not to dark or light, just right. Nice quality pillow. Brings lots of texture to my bedding. The color is very neutral. Faux fur is super soft! The faux is not as soft and natural feeling as the other pillows I bought from the same designer. 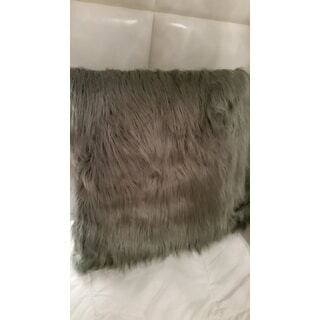 It's a really big pillow and the color is nice, the fabric is just too faux fur feeling. The texture of the fur is very soft. The pile is approx 2.5". Nice pure white not ivory. I wish it had down/feather fill, but I will make alterations and insert a zipper to replace with one. Loving the 26"size. The back is a soft white fabric with a low pile. Very nice to the touch. This is a great pillow for the cost, you can't go wrong. I placed it in the center of 2 higher cost/quality Mongolian fur pillows and the furs blend nicely. I would highly recommend if you are on a budget. Would have given 5 stars if it had feather down insert. Delivery was a tad bit later than expected. So if you need in a hurry be aware of delivery time. Great pillow. True white color. Very soft! This pillow is oversized as it states, which is awesome! However, it is not very full or firm and somewhat flimsy. The back of the pillow is a bit thin, like the fur blankets you can buy at the big box stores. I loved the size, but I am a little disappointed with the quality. Got this huge pillow to sit on the floor and add color with my dark furniture. Feels nice and is pretty fluffy. It is a good size pillow for the sale price. The color, I got silver is just as pictured. It for sure needs more filling it is somewhat flat. Compared to higher priced up pillows the only real difference I was the "fur" only being one sided and the lack of fullness. But with a pillow the fluffier the better!! I wouldn't buy this again due to the lack of fullness and only being one sided. It seems like a pillow for a child room even with the ample sizing. I went ahead and bought the much higher priced pillow and was not disappointed sometimes you do get what you pay for. This is the softest, most "huggable" pillow you can buy! The fur is long and luxurious. The color is a very dusty lavender, I wouldn't exactly call it just "purple" as it is described. My granddaughter fell in love with this for her room, along with the matching body pillow that is available separately. She enjoys cuddling in these and reading her lessons. These pillows are absolutely lovely. They are posh and very believable. Rich looking and substantial. Treat yourself. Thank me later. 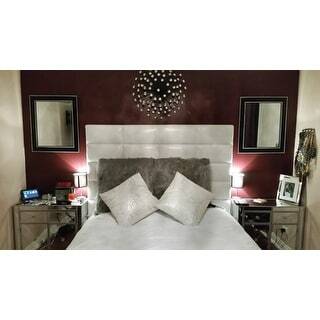 I purchased these for my bed. Very soft and look real. The color was just as I'd hoped. The only drawback is there is no opening to change out the insert. I absolutely adore these pillows! I ordered two for my couch in my living room. They are really pretty and super oversized which makes them comfy! Also, the color is perfect!! Love it! It is a real white color and they fur looks like shabby chic style! HUGE! 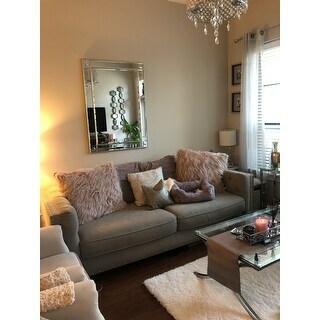 Not as soft as Zgallerie but for the price very happy! This pillow is very plush and bigger than I expected. Love the pink color that I match with my white and gold décor. It matches very well with other fur items and the quality of very good. Love this pillow. The color is gorgeous and looks very rich. Goes perfectly with my tan sofa. Would love to have them in a bigger size for a bed. "How do you "spot clean" and what cleaning products can be used?" "Would you say the vapor color is light Grey? " "Does this have fur on both sides?" No, the back is a soft cloth. But the pillow is beautiful! "Would you say the "Oatmeal" color belongs to the beige family, the Ivory family, or a mix of both? Does it have any grey undertones? Are you pleased with your pillow? " In my opinion, the Oatmeal color is more of a taupe color. We try our best to represent products accurately, however, due to differences in displays and the subjective nature of colors, shades may vary slightly. "Is the bright white like actual bright white or more like an ivory, softer white?" We try our best to represent our products accurately, however, due to differences in displays and the subjective nature of colors, shades may vary slightly. In my opinion, the Bright White option does not have a yellow tone that ivory would have. Loved the color and size. Good reviews. It’s the size and color I need.